A lovely drink on those long hot summer days. 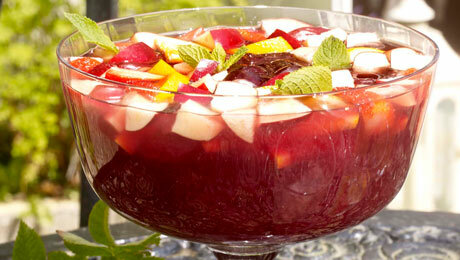 There are hundreds of recipes for sangria. It’s one of those recipes that everyone has their own unique twist to but I love this particular one. Combine all ingredients together and chill until required.